Banister Hall can radiate warmth. 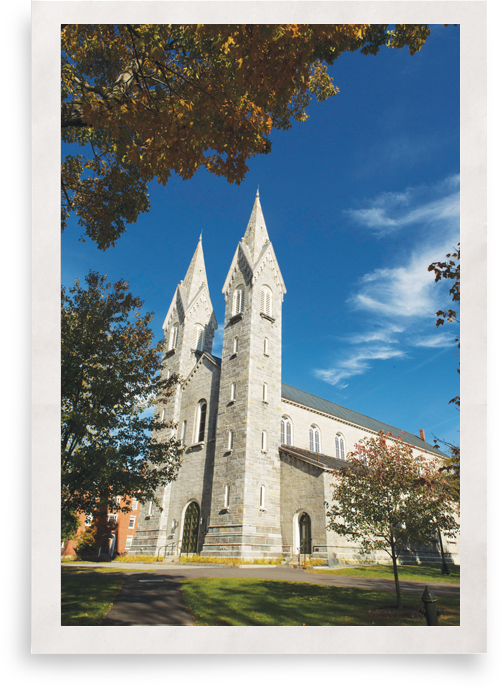 Central to life on the Bowdoin College campus in Brunswick, Maine, it’s part of an iconic building through which students continually flow. But in the winter, the college historic windows were causing a problem: it was just plain cold due to the single-pane window insulation. As with many treasured college historic windows, the striking arched windows in this Romanesque building designed by Richard Upjohn are beautiful rippling single-pane glass, and drafty. The exterior storm windows didn’t look right and so the college removed them. Plastic sheeting was unacceptable. But the college facilities staff didn’t give up on finding a solution for their single-pane window insulation dilemma. The campus sustainability coordinator had been working to reduce Bowdoin’s carbon footprint through measures such as weatherization, switching from oil to natural gas, and installing energy-efficient lighting. She reached out to Indow to do a pilot test with a single office on the building’s south side. 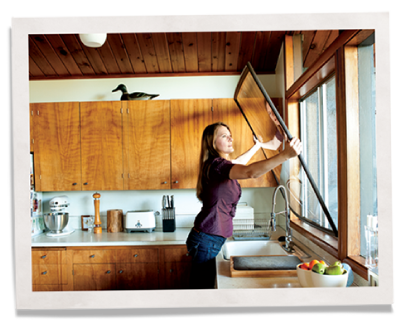 The window inserts created a huge increase in the single-pane window insulation. “They eliminated the drafts,” said Caitlin Callahan, assistant director of the McKeen Center for the Common Good, who worked in the office at the time. But she noticed something else too: the chapel bells that ring every quarter hour were quieter. So the college purchased 19 Indow inserts for the building’s south side. 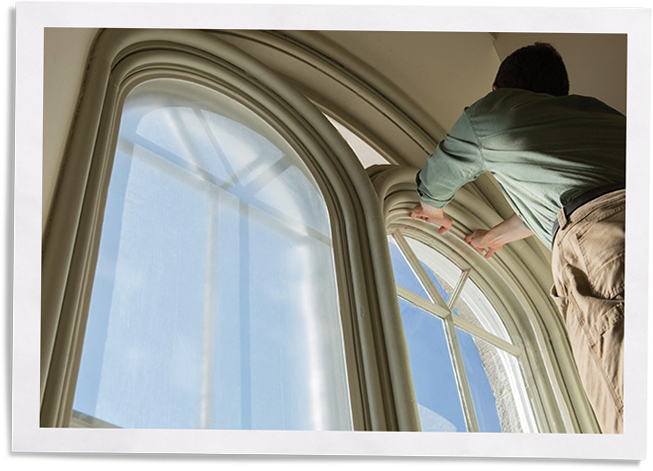 Because Indow inserts are precisely measured to fit any window, the inserts were custom fit to the stunning arches and batwing windows. The north side of Banister Hall houses the American Musicological Society, which is now interested in having Indow inserts as well. 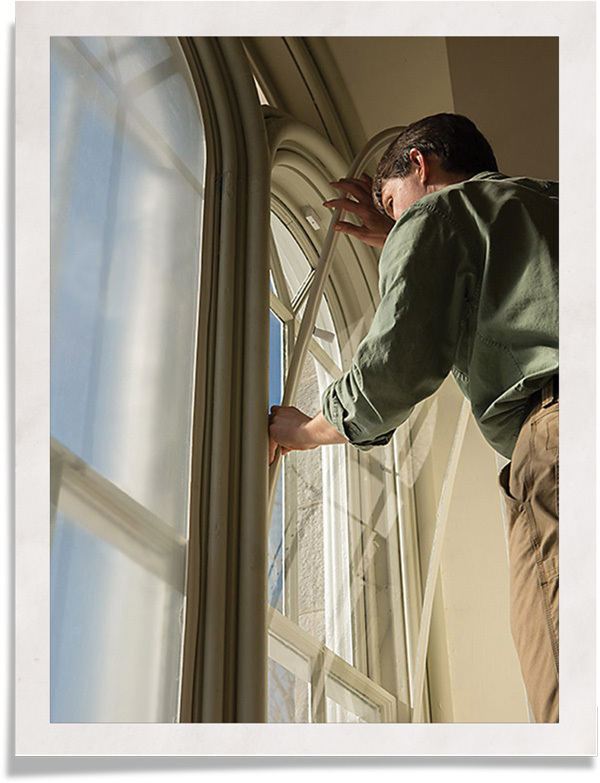 We offer custom solutions to a variety of window performance issues, from insulation and draft-blocking to noise penetration. Click the links above to discover how Indow window inserts solve each issue, and find the Indow grade that’s the best fit for your needs.